The future just got a whole lot brighter! Do you need help with a skin concern that you’ve tried almost everything for with little to no results? This facial will change that. Suitable for all skin types. The concept of this facial works by penetrating deeper layers of the skin to stimulate production of new collagen and elastin. 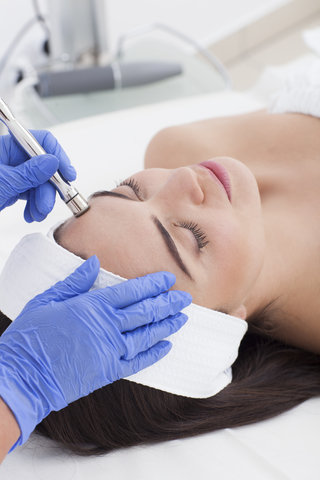 In turn giving you noticeable results after your first treatment. If you have any of the following skin concerns, we can help you. This is a highly results driven targeted facial. For maximum results please follow the pre and post care instructions. Courses are highly recommended for the best results. Only bookable with Microneedling, Dermaplaning, Microdermabrasion and Enzyme Peels.